Choosing to have a new aluminum, copper, or zinc metal roof installed on your Woburn, MA home offers a number of benefits to you as a homeowner. Your new metal roof offers impressive energy efficiency, little necessary maintenance, and a long lifespan. Additionally all of these benefits come without sacrificing the visual appeal of your Woburn, MA home! Thanks to the strength and durability of metal, your new roof will not crack, rot, or split like a traditional asphalt shingle roof. In fact, a new metal roof offers a lifespan of 3 to 4 times longer than an asphalt shingle roof installed on the same day, your new metal roof could last 50 years or longer! Metal roofing requires little maintenance during its lifespan along with being backed by generous warrantees. 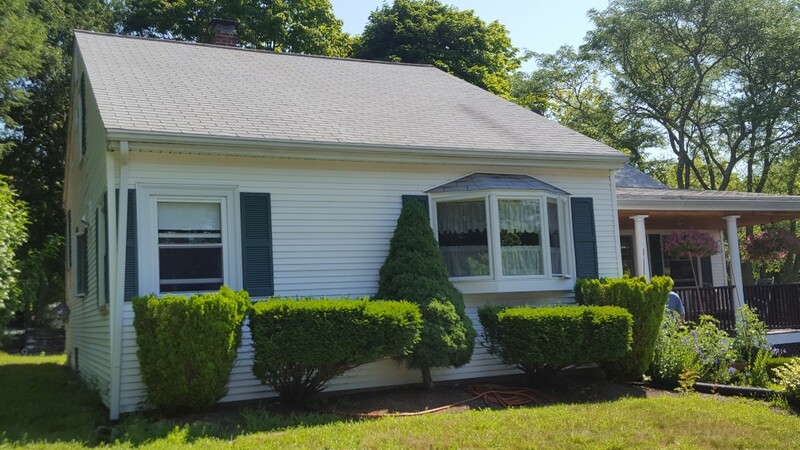 As a Woburn, MA homeowner you stand to recover a great deal of the investment you make on your new metal roof. According to the Metal Roofing Alliance, homeowners in the New England area can recoup up to 95.5% of the cost of their new metal roof. Metal roofing installed by a professional can also offer discounts on homeowners insurance! Ranch style home looking to upgrade roof to an aluminum standing seam metal roof to mitigate ice dam and leaking issues.